Our mission is to uphold the highest standards of nail care and client care. To do so, we have our team of professionals committed to offering only the best of quality services and products. This includes keeping up with current trends while still keeping the classics available for our customers. As we did our renovations to improve Polished, we kept our clients' needs in mind. 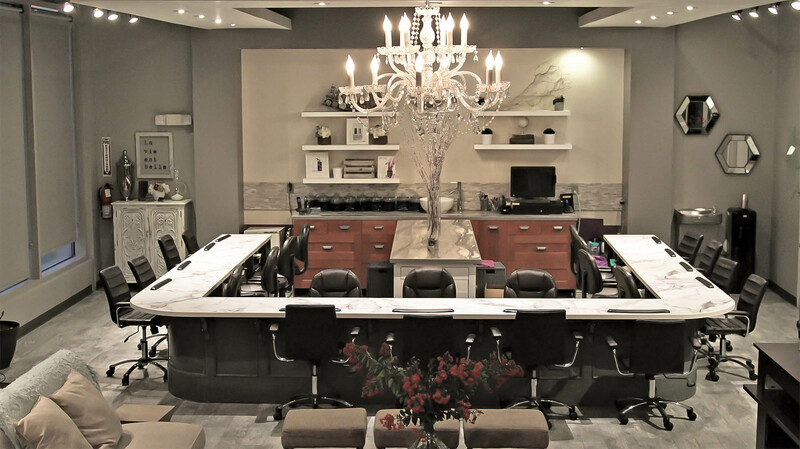 Our salon has the capability to service the grandest of parties with our spacious sitting area and a specially designed manicure bar, so you wont lose sight of your friends. We made sure the decor is as inviting as home could be to make your personal nail visits with us comfortable and relaxing. We appreciate all of the support and love our clients have shown us and we look forward to making our clients and new customers leaving feeling POLISHED!